A review of the Bone Daddies cookbook with a sweet and spicy Thai ramen recipe adapted from the book perfect for an easy weeknight dinner! 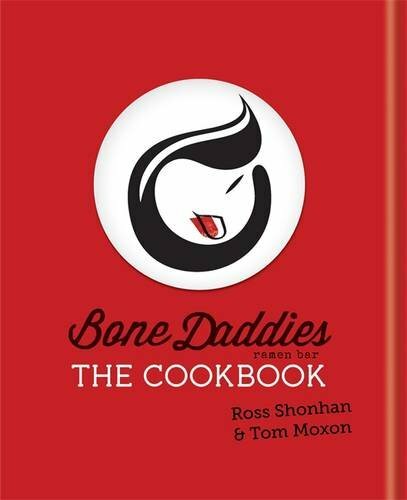 So the main thing you notice when you pick up the Bone Daddies cookbook for the first time is that it is backwards. Apparently this is the traditional Japanese way. Which I can totally get on board with but it takes a bit of getting used to. Will found it pretty stressful when he was trying to cook from it, I think because the recipe we chose to try involved flipping to different pages which can be a bit confusing when the pages aren’t where you expect them to be I guess! The next thing you’ll notice about this cookbook is how it’s full of super bright photos which draw you in from the moment you open the first page (once you’ve remembered to flip it over that is). There are also some cute little illustrations to show you extra steps here and there. I’ve never really cooked much Japanese food. This isn’t because I don’t want to. I really enjoy trying out new things and if there’s anything I can get down with it’s copious amounts of noodles. I love me a noodle. No, the reason we don’t really cook Japanese food, I’m ashamed to admit, is pure laziness. We never get round to going and buying the slightly more obscure ingredients that aren’t sold by the supermarkets we do our orders from. And it’s not even like it’s hard to find somewhere that stocks unusual ingredients! One of the many benefits of living in such a multicultural city like London. So we are definitely planning on dragging ourselves out on a Saturday morning more regularly to hit up our local Asian supermarket and get the ingredients we need to make all the deliciousness encased in this backwards cookbook! The first recipe I was drawn to trying from this book was the Thai ramen. Something about the wonderful fresh ingredients it uses made me really excited to eat a big bowl of it. Since we’re yet to gather all our required ingredients we were forced to wing it slightly and I thought I’d share with you the much less legit version of this recipe that we ended up making along with an urge to go and buy this cookbook. It’s lovely! Other recipes I’m excited to try from this are sweet spicy pig bones with barbecue sauce, salmon kara-age bun with chilli ginger mayo, cabbage and cucumber pickle and sing mai mazemen. 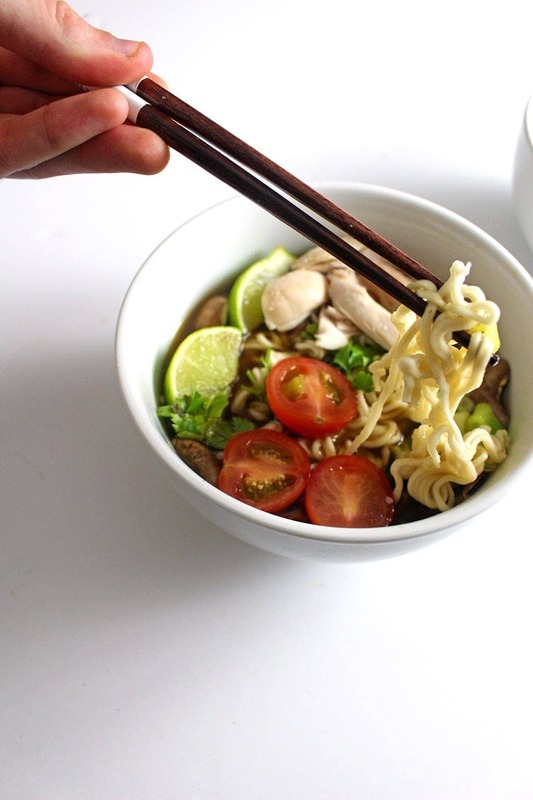 We adapted the thai ramen from the Bone Daddies cookbook to make it slightly quicker and to suit our tastes. Make sure you buy the book to try out their version! Add the soy sauce and the sugar to a saucepan and heat over a low heat until the sugar has dissolved. Remove from the heat and add the fish sauce. Set aside until ready to use. I love trying new recipes and getting new cookbooks! I hear you about the slightly different ingredients, though! Then when you locate them, you have to use them all up or they go to waste! This looks like a bowl of comfort food, for sure! This sounds like quite the cookbook! The ramen looks incredible. Such a wonderful comfort food. 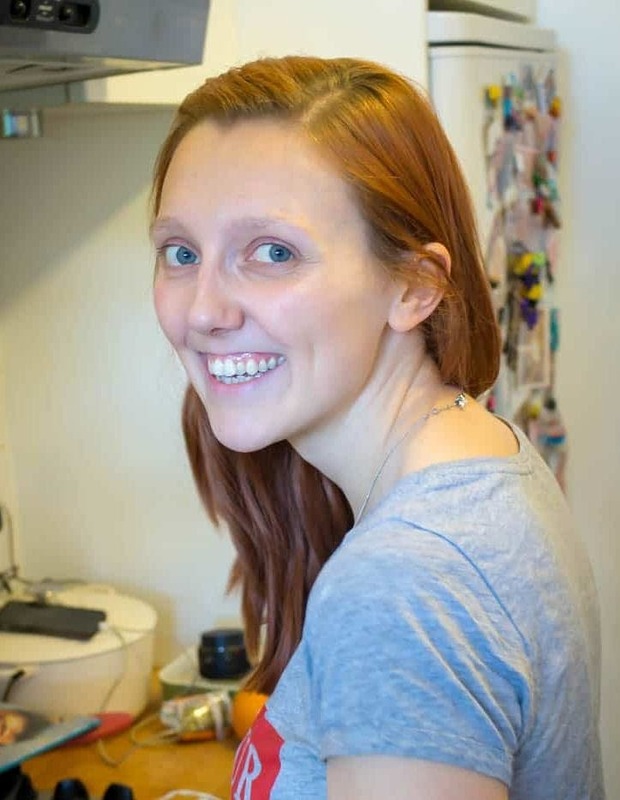 I would love to try that Salmon Kara-age Bun too. I’m always on the hunt for different cookbooks, so this was really helpful!